With over 25 years of professional experience as an academic, consultant, writer and speaker, Ruta Aidis is a leading international expert on entrepreneurship, economic development, innovation, gender, women’s economic empowerment and public policy. She is an award winning author with over 50 published articles, books and reports. A successful proposal writer for both the public and private sector, Dr. Aidis has led research teams to develop ground breaking new measurement tools, data development and analysis. She is uniquely skilled at translating complex sophisticated analysis and concepts into practical action oriented recommendations and results accessible to journalists, advocates and policymakers. Dr. Aidis has extensive international work experience and is a skilled manager of people, projects and ideas. In addition to teaching and research, Ruta Aidis is a consultant (both short and long term) for research agencies, international development organizations, universities and think tanks. Current positions: Dr. Aidis is CEO and Founder of ACG Inc., Research Director for Gender Metrics, Research Director of the Global Women Entrepreneur Leaders Scorecard and Senior Fellow at the Schar School for Policy and Government, George Mason University. Jennifer Bisceglie is CEO of Interos Solutions, a company that provides cybersecurity and supply chain risk management (SCRM) reductions services to the US government and major corporations. She is a sought-after expert on the impact of cyber risk and supply chain risk on US and global economies. Jennifer is a US delegate to the Women20 (W20), the most recent engagement group of the G20. 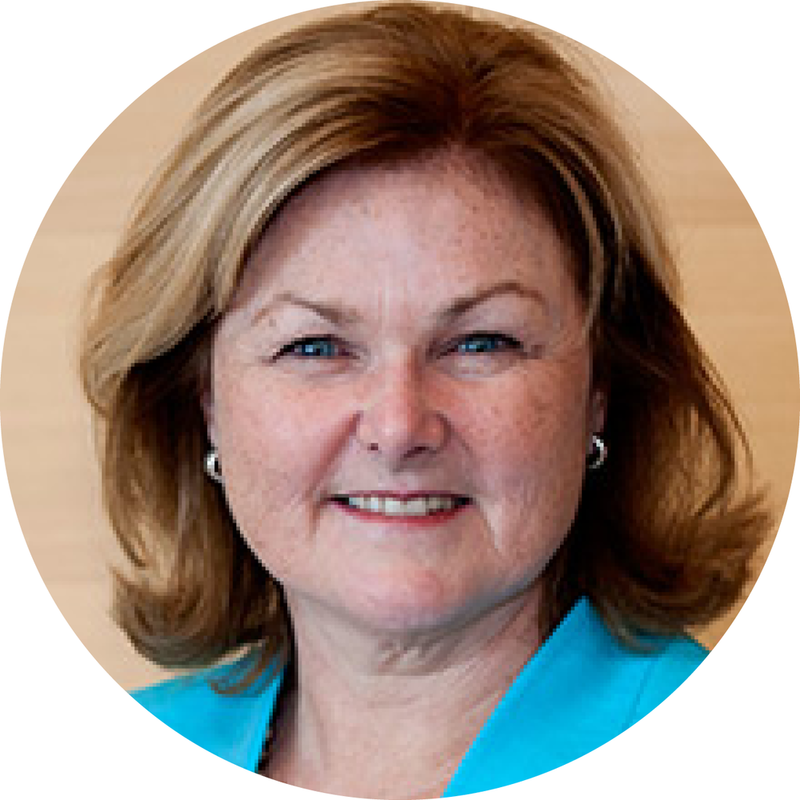 She served as Chair of the Board for Women Impacting Public Policy (WIPP) from 2009 to 2016, and was instrumental in building the organization’s grassroots public procurement strategy. She was part of the team that built a 300-course curriculum to provide the tools and resources required for success in government procurement training. WIPP has educated over 600,000 women entrepreneurs in 5 years. Jennifer has been a repeat instructor for the online courses and an in-person speaker at the national live training tour. She has been a frequent presenter at WIPP conferences, as well as at a number of its 80 coalition partner events, instructing and promoting collaboration, how to work together, and the power collective voices can achieve locally and internationally. In addition, she was founding President of WIPP International. Interos was named the AT&T Innovator of the Year for its Global Threat Information Center (GTIC) ™ launched in 2015. Jennifer herself is the recipient of numerous awards, including the 2014 Smart Brava Award, American Express Open Government Contractor of the Year in 2010; Enterprising Women’s 2009 Enterprising Woman of the Year award; as well as the Washington Business Journal’s 2009 Women Who Mean Business award. The publisher of Caxton Business & Legal, Inc. in San Francisco has more than fifteen years of experience in global thought leadership projects in cooperation with the world’s pre-eminent investment banks, stock exchanges, law firms, technology companies, accounting firms, ratings agencies, public relations firms, governments/regulators, and multilateral organizations. Caxton has published 60+ CXO or Board-focused guides for 90+ global jurisdictions while working with c-level, managing partners and marketing/communications leaders in the world's largest financial centers. Caxton provide start-to-finish content leadership and project support on collaborative marketing initiatives, acting as intermediary among 50+ international contributing firms, the editorial team and the headline sponsoring firms. A few of Tim’s publications include the Entrepreneur's Guide: Startup | Scaleup | IPO, published by the Australian Securities Exchange and National Australia Bank; The Entrepreneur’s Roadmap: From Concept to IPO, published for the NY Stock Exchange; Going Public for North America, published for the NASDAQ exchange; and the Going Public China Guide. Contributors have included some of the most high-profile global names in finance, technology, law, entrepreneurship and entrepreneurial education. Tim is now very focused on helping women-owned businesses grow. Among her current projects, she is developing the program for the inaugural Gender-Smart Investing Summit (November 2018), aiming to catalyze greater opportunities for women throughout the finance community. Her global policy work includes serving as a United States delegate to the W20's 2017 Summit in Berlin, where she was a co-Chair of the Access to Finance subcommittee. She will be representing the US again at the W20 Summit in Argentina in 2018 and as an advisor to the T20’s Gender Economic Equity Task Force. Her writing has been featured in Forbes Georgia, Microfinance Gateway, and the DoubleXEconomy Blog. She has been a keynote or featured speaker at conferences around the world, including at Davos 2018, engaging diverse audiences in discussions about the necessity and opportunities of women’s economic empowerment. Dr. Drakeman is a member of the board of directors of Solar Sister, which is dedicated to eradicating energy poverty by empowering women to become entrepreneurs selling solar lanterns. She was formerly a member of the advisory council for the Clinton Foundation’s Haiti Women’s Economic Participation Consortium; a trustee for the National Cathedral Choral Society; and a board member of the Hilton Head Institute. Dr. Drakeman has an AB from Princeton University and a DPhil from the University of Oxford. Sucharita has promoted and mentored women entrepreneurs since 2011. She is the Founder of Catalyst for Women Entrepreneurship CWE), a comprehensive platform enabling women to start up and scale up their enterprises. In two years CWE have a network of 2300 entrepreneurs across 55 cities in India. Prior to this, she headed WEConnect International in India – a US based organization that connects women owned businesses to market opportunities with transnational corporations. Earlier, as Senior Director at NASSCOM, Sucharita set up and led the Diversity and Inclusion initiative to attract and mentor women leaders in the ICT industry and the Mentor Program for SMEs. She has worked on national task forces for policies on digital access, women’s economic empowerment, women’s health. She chaired the W20 (part of G20) Working Group on Financial Empowerment of Women especially through entrepreneurship. Sucharita started her career with communication agency Ogilvy & Mather, creating successful brands and corporate identity for major FMCG and industrial clients. As Founder of two not-for-profit organizations (Madhyam and VOICES) focused on policy advocacy for equitable access to media and telecom, she led two initiatives: licensing FM community radio in India and South Asia; Telecom Development Fund to accelerate universal telecom access. Patricia G. Greene holds the Paul T. Babson Chair in Entrepreneurial Studies at Babson College where she formerly served as Provost (2006-2008) and Dean of the Undergraduate School (2003-2006). Her current assignment at Babson is as the global academic director for the Goldman Sachs 10,000 Women program. Dr. Greene’s research focuses on entrepreneurial resources. Dr. Greene is a founding member of the Diana Project, a research group focusing on women entrepreneurs. Dr. Greene’s most recent books are The Development of University-Based Entrepreneurship Ecosystems: Global Practices (with M. Fetters, M. Rice and J. Butler), and Teaching Entrepreneurship: A Practice Based Approach (with H. Neck and C. Brush). She is a co-author of reports on women’s entrepreneurship for the Diana Project, GEM (Global Entrepreneurship Monitor) and 10,000 Women. Greene is a past federal appointee to the U.S. Small Business Administration’s Small Business Development Centers. Prior to becoming a professor she worked primarily in the health care industry. She is the co-owner of Artworks, a specialty home goods store in Gettysburg, PA. She brings her wealth of knowledge on what makes successful female entrepreneurs, as well as much of the supporting data, to Quantum Leaps. Joan is the Director of Supplier Diversity and Sustainability at Pacific Gas & Electric Company. Ms. Kerr brings to PG&E 24 years of leadership experience in the utility industry. Under her leadership, PG&E has more than doubled its annual spend with diverse business enterprises, to more than $2 billion. Previously, she worked at AT&T (formerly Pacific Bell and SBC). There, she served as Executive Director of Supplier Diversity Programs, where she led the creation of a best-in-class program. Sue Lawton creates business opportunities for women entrepreneurs and is a founder of WEConnect Europe establishing the WEConnect International program around the world. Sue has worked extensively with under-represented communities in the US, Canada, Australia, Turkey, Uganda and Belize and has developed programs including micro-finance, social enterprise, enterprise programs in prisons, multi-cultural enterprise initiatives, women’s business centers, and business incubation. She holds an MA (HRM) MA (Social Entrepreneurship) and is an Advisor to the UK All Party Parliamentary Group for Women and Enterprise, Fellow of the RSA and Trustee of the Commonwealth Girls Education Fund. Sue was awarded the MBE for services promoting women’s business leadership worldwide, and is currently working with the Secretary General UN High Level Panel for Women’s Economic Empowerment. Karen is a leading expert on innovation and innovation capacity building, serves as Chief Catalyst of FutureForward. Karen Maples is the founder of Myutiq – an innovation strategy firm that helps companies ignite significant growth. Recognized as a thought leader and accomplished strategy expert, she established the company because of her passion to help companies build innovation capacity for long-term viability and growth. 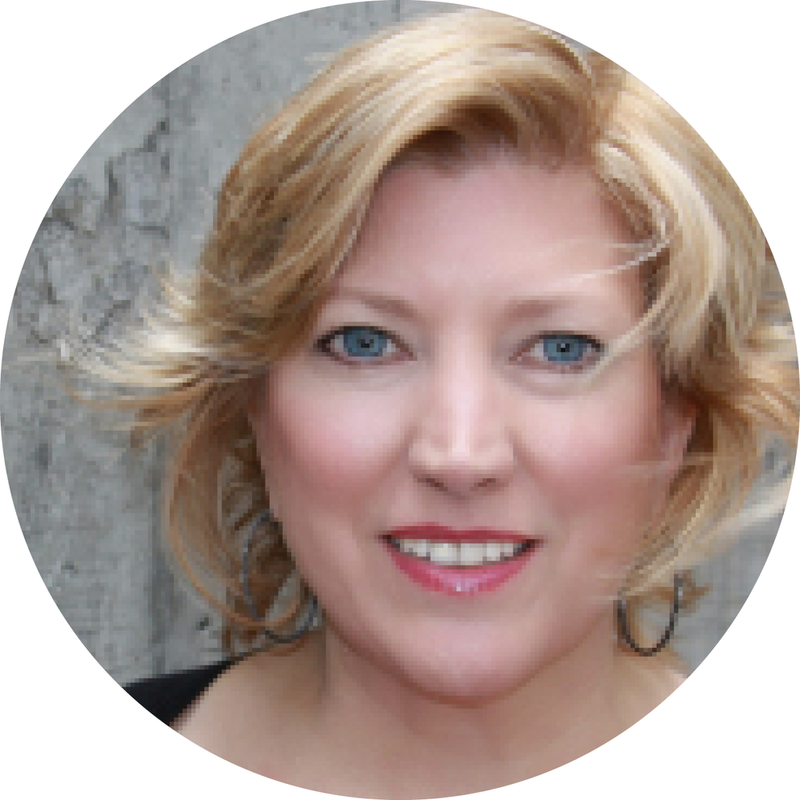 Karen is the co-creator of The Pursuit of UniquenessSM which provides a repeatable innovation process for her clients. She is also the creator of DIVERGESM, a complementary methodology focused on the leadership skills needed for innovation to flourish. A significant aspect of Karen’s work involves looking at innovation through a global competitiveness lens, with a focus on applying innovation principles and new paradigms to solve our toughest challenges. She informs and influences CEOs, business owners, advocacy organizations, and government entities. Her project portfolio includes working on breakthrough innovations in the application of Internet technologies, cyber security software, creation of product/services solutions platforms and customer experience driven applications. Her client list spans a diverse number of nonprofits and commercial industries including technology, cyber security, manufacturing, construction, geospatial analytics, and professional services. She has also worked in international markets including Europe, North Africa and Brazil. Karen has written extensively about innovation for a variety of publications including Wire Rope Exchange, SmartCEO and Enterprising Women. She is on the Editorial Board for Quantum Leaps Roadmap to 2020, and was a contributor to the groundbreaking 2010 release of “Roadmap to 2020 – Fueling the Growth of Women’s Enterprise Development.” Recent articles include “The Dynamic of Innovation in Growing Your Business” and “Challenge for Thought” about open innovation platforms. Deeply dedicated to working on global issues impacting women’s leadership and entrepreneurship, she is a founding member of Meridian International Center’s Council on Women’s Leadership. As the Technology Chair, she provided significant direction in the launch of the Council’s international knowledge network. Karen is a founder of the Northern Virginia Chapter of the National Association of Women Business Owners, and served two terms as President. She is a national founding partner of Women Impacting Public Policy and was instrumental in the creation of WIPP’s Economic Blueprint. She also delivered her program “Profitable Business Design” to Winners of WIPP’s Young Entrepreneur Scholarship Awards, in preparation for their work with WIPP mentors. Karen was recognized by Enterprising Women Magazine as one of the top women entrepreneurs in North America for 2010. She holds a B.B.A. and M.B.A. from the College of William and Mary in Williamsburg, Virginia and has completed post-graduate studies in strategic planning and marketing strategy at Harvard Business School and the Wharton School of the University of Pennsylvania. Barbara J. Orser is a Full Professor at the University of Ottawa Telfer School of Management (Canada). Her research focus on women’s entrepreneurship, small business finance, ICT adoption, procurement and policy. She is the lead author of over 100 academic and industry publications, including Feminine Capital. Unlocking the Power of Women Enterprise (Stanford University Press, 2015). She is also the Founding Chair of the Canadian Taskforce for Women's Business Growth (2009-2011) and Founding Co-Chair of the Women Entrepreneurs Ontario Collective (2015/2016), non-partisan consortiums of business owners, training agencies, academics, and industry associations. Dr. Orser has served an advisor to many Canadian federal agencies, APEC, OECD and the US State Department. The contribution of her research has been acknowledged through various awards, including Women’s Executive Network ‘100 Most Powerful Women in Canada’ (2010), The International Alliance of Women ‘World of Difference Award’ (2010), and ‘Canada 150 Women’ celebrating Canada’s 150th birthday by recognizing feminist leaders, champions and luminaries. Spiro Pappas is a senior executive with over 28 years of international financial experience. He commenced his career in Sydney with SBC Dominguez Barry (now UBS) and then worked for Deutsche Bank in Sydney, London and New York. He subsequently worked for ABN AMRO in London for 11 years. During his time at ABN AMRO, Spiro performed several roles with global responsibilities, including Capital Markets, Corporate Finance and Advisory for Financial Institutions and Relationships for Banks and Non-bank Financial Institutions. 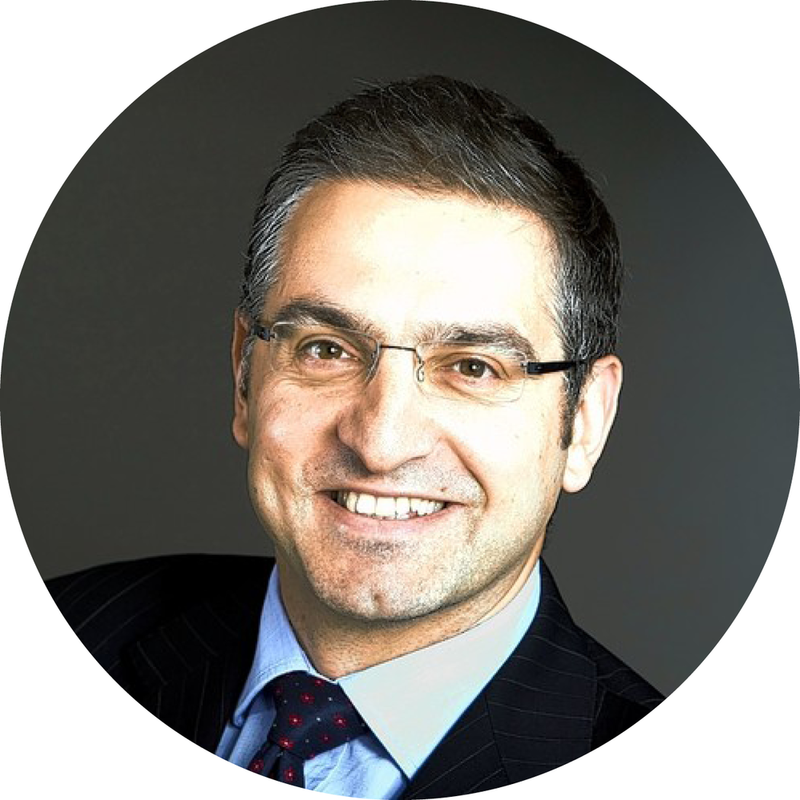 From 2010 to mid 2018, Spiro has worked at National Australia Bank, where he has performed numerous roles, including Executive General Manager of Corporate and Institutional Banking, International and Innovation based in Sydney. He was also based in Singapore where he was CEO Asia. Since late 2017, Spiro has been a Senior Adviser for NAB’s market-leading Business Bank and has been a member of a specially convened Federal Government Digital Taskforce for SMEs. In recent years Spiro has been an active member of various G20 business advisory taskforces, including membership on the Business20 (B20) SME Taskforce since its inception in Turkey in 2015. Spiro, who has two daughters, is particularly interested in women’s entrepreneurship, and has received an Australian Male Champions of Change Award. Dr. Margo Thomas is a Lead Expert in Trade and Competitiveness. Her areas of focus include women's economic empowerment, business enabling environment, investment policy, regulatory reform and private sector development. Her experience spans 20 years in international development within the World Bank Group. She has provided policy advice to some 50 national and sub-national governments and has a deep understanding of post conflict and transition economies. Having just acted as the Chief of Staff for the UN Secretary-General’s first-ever High-Level Panel on Women’s Economic Empowerment, to provide thought leadership and mobilize concrete actions aimed at closing economic gender gaps that persist around the world, Margo brings her thought leadership and global connections to the Quantum Leaps brand and their important work. Margo holds a Ph.D. in Public Policy and Private Sector Development from the University of Manchester, Institute for Development Policy Management. Her recent publications include a collaboration with the London School of Economics and Political Sciences on an edited volume on public policy making in the Western Balkans.